Find the perfect ribbon for Christmas at May Arts. Need ribbon to gift wrap? 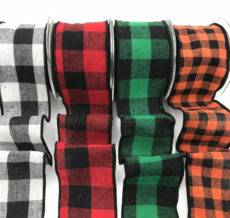 We have a wide range of sizes & colors in satin, grosgrain, plaid, & more. 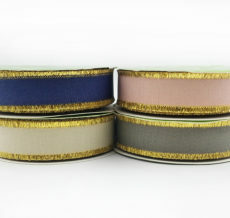 If you are decorating, check out our selection of metallics & wide ribbons. Make May Arts your one-stop shopping resource for all your Christmas ribbon needs.